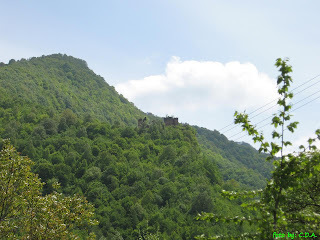 Situated on a steep cliff above the village Suseni, the Colţ (cliff/rocky ridge) fortress was built by the Knyaz (or Cneaz) Cândea in the XIV-th century. Soon after, he turned to the Roman Catholic and changed his name to Kendeffy. 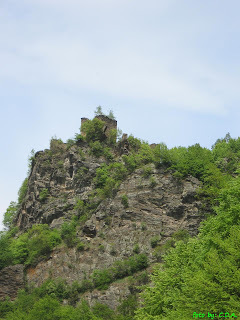 Although now in ruins, the fortress had an important role, being the strongest transylvanian stronghold of its time belonging to a knyaz. 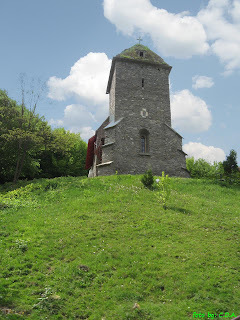 Next to the road, there is a church from the same period as the fortress, and a monastery of monks. There is also an unmarked path (around 30minutes on foot) leading to the top of the cliff. Some photos on Patzinakia and here and a nice movie clip on Youtube. The location on Wikimapia.